I’m a big granola fan whether I eat it for breakfast, or as a snack I just love it! 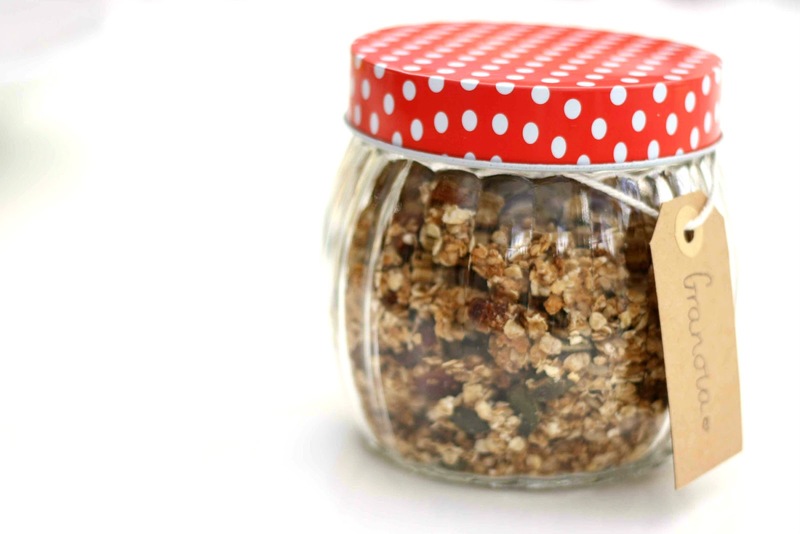 After seeing Lily Pebbles make her own granola, I decided I’d make up my own recipe as well so here it is! So first of all you’re going to want to weigh out 200g of porridge oats. Once you have done this, pour them into a big bowl. 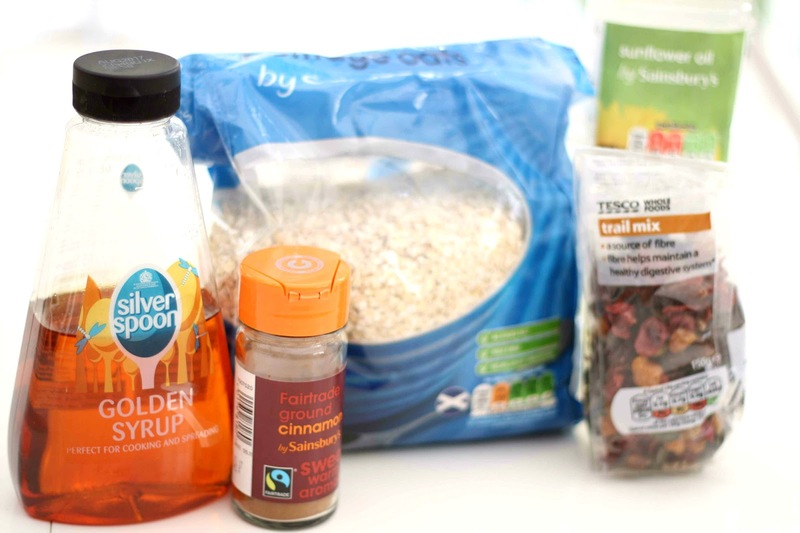 After that, either measure out or pour 150g of your trail mix in with the oats. I purchased a trail mix back from Tesco, which includes dried fruit, seeds etc. If you don’t like this, you can add whatever you want to make it to your taste. After that you’ll want to add in your 2tbsp of sunflower oil, if you don’t have sunflower oil, vegetable or coconut oil is just as good. Mix this in with a big spoon and then add your 1tsp of vanilla extract, mix that in again. Then add the 2tsp of cinnamon, this is a choice though if you don’t like cinnamon don’t add in. After just mix in again. Finally adding in the golden syrup. I didn’t measure this out, I just went for it and poured it straight in because I didn’t know how much I would need. Just make sure you add enough so that it starts to stick together quite well and you don’t have flaky oats like you did at the beginning. Then the last step is to spread it all out onto a baking tray that has grease proof paper on. Make sure its quite evenly spread out and then pop it in the oven for about 20-30 minutes on gas mark 2. You will know when its done as it’ll be golden and almost crisp looking. Then take it out of the oven and leave to cool.